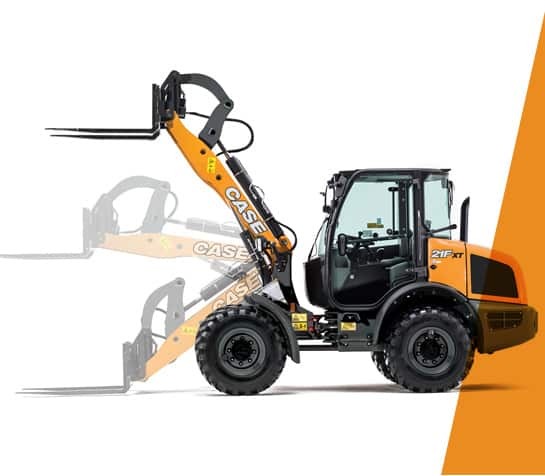 CASE F Series compact wheel loaders set new standards of productivity, versatility and comfort. Feature a “maintenance-free” Tier 4 Final particulate matter catalyst solution and cooled exhaust gas recirculation engine. 21F and 121F available in Z-bar and parallel lift arm configurations. Electronic controls improve precision and reduce operator effort in operating the machine. CASE equipment features the advanced in-house engine technology developed by sister company FPT Industrial that pioneered low emissions, high efﬁ ciency solutions for on- and off-road applications. With a broad portfolio of technologies and products, FPT brings to CASE customers the competitive advantage of powertrain technologies that reliably delivers high performance with low operating costs – proven technologies from a global engine manufacturer that produces as many as 600,000 engines a year. - Particulate Matters (PM) are trapped in the PM-Catalyst. The reaction with NO2 convert PM’s into carbon dioxide (CO2) and pure nitrogen (N) passively. Easy entrance With low cab ﬂoor and wide steps. With the depressurized push-pull connectors you will never need hand tools to swap your attachments. - 130 lpm @ 2500 rpm High Flow option always comes as part of a package including Creep Speed, Front electrical socket and Return Depressurized Drain. Designed to protect the operator in case the machine rolls over or a 227 kg rock falls from 5 meters height on the roof.